And then there are those with their “beer-reviewed science” who claim that Super Storm Sandy changed the paradigm. They know for certain that all the fish are simply “offshore” now, because a friend of a friend has a friend who’s a commercial fisherman who saw them so thick out there, you could walk on them. Of course, there is no science behind any such contention. In fact, the Northeast Fisheries Science Center no longer includes data from their offshore trawl surveys, because they were encountering so few striped bass. To the rest of the community, at least the ones who choose not to wear blinders, the decline is pretty clear, and it has been, for many years. And, while there’s been plenty written about it, a 2019 benchmark stock assessment shows this in no uncertain terms. Such assessment is clear that striped bass are “overfished” (below a level biologists determine to be a healthy stock) and “overfishing” (taking fish out at a level that contributes to the decline) is occurring. Two things that have seemed quite obvious to a lot of us for years. At the February Atlantic States Marine Fisheries Commission (ASMFC) meeting Commissioners were presented with a summary of such findings, although it was not yet official as the Government shutdown had delayed the final report. Instead of taking action then and there (i.e. emergency action, or simply initiating an addendum to correct the situation) the Board tasked the technical committee (ASMFC staff biologists) to come up with possible regulations that would get overfishing under control, which is the likely first step in the initiation of addendum anyway. 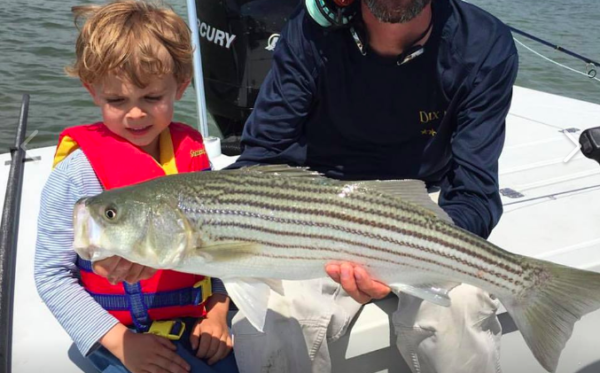 The Striped Bass Board will likely act on that memo at their April 30th meeting. If we are to successfully advocate for strong corrective action, an avoidance of further half-measures and/or other short-sighted decisions, and a repeat of past mistakes, it’s important to understand the background and management history that led up to where we are now. In other words, how we got here, more specifically why we got here, and how to avoid more mistakes moving forward.